If you would like to buy a new SUPERCARD, please call us at: (021) 68877888*8527. We accept check or bank transfer, the card will be issued once the payment is received. For bundle purchasing, we provide delivery service. A receipts have to be signed and chopped after receiving the cards. 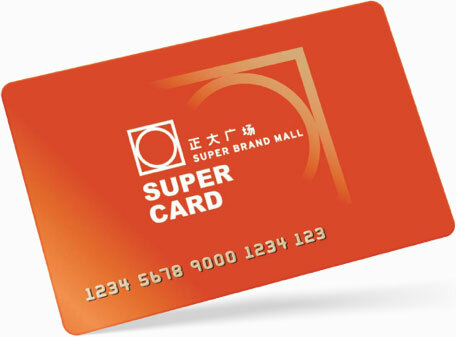 SUPERCARD is accepted in designated shops. Invoice is provided when topping up SUPERCARD, and not provided when purchasing goods. Customers can active SUPERCARD with his/her identity certificate in VIP card service center. After activation members can enjoy the membership priority. SUPERCARD is only accepted within valid period. SUPERCARD cannot exchange to cash nor overdraw, and registration for the loss of card is accepted (for registered users only). Please keep the card in proper place, away from the magnetic items. Multiple cards can be used at the same time by registered customers. Please apply for a new card with your identity certificate at the VIP card service center; and the cashier will be able to replace a new card for you. Each card will be charged for 10 RMB. Please use SUPERCARD during the valid period. 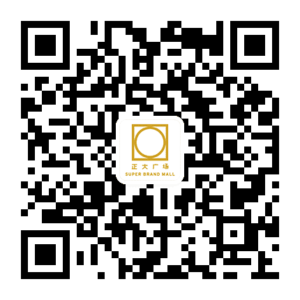 If the card is expired, the cashier can help you to extend the valid period up to 6 months, each extension will be charged 20RMB. After using the card, please carefully check the amount and card number.